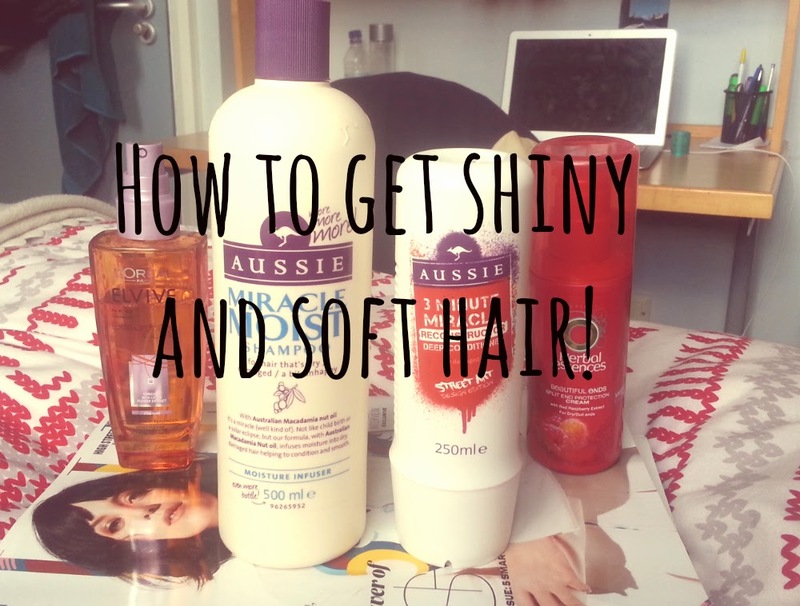 How To Get Soft Shiny Hair! | RAWR BOWS. Hello people! Dry and damaged hair is something that I've always struggled with, I never used to take care of my hair and the fact that I only get it cut once or twice a year (and because my mom forces me to) doesn't help. So a few weeks ago I decided to invest in some hair products to make my hair look and feel healthier. First of all, I try not to wash my hair every day as that makes you hair get drier and get oily easier, I normally wash it every other day. I use Aussie's Miracle Moist Shampoo and Aussie's 3 Minute Miracle Deep Conditioner. They both really help to moisturise my hair and make it look healthier. I never blow-dry my hair as it damages it and also because I'm too lazy to do it! So I just absorb some water with a towel and let it dry naturally. I then also use L'Oréal Extraordinary Oil Mist which is enriched with louts flower extract (I don't really know what that means but it sounds fancy!). It spray that to the ends of my hair and it makes it look very shiny and healthy. As I've said before I've always had dry and far from soft hair but I've realised that since I use all of this products my hair has been getting healthier and softer! I?m in love with herbal essence products!